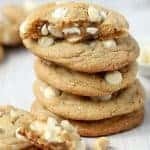 Our family’s favorite White Chocolate Macadamia Nut Cookies. 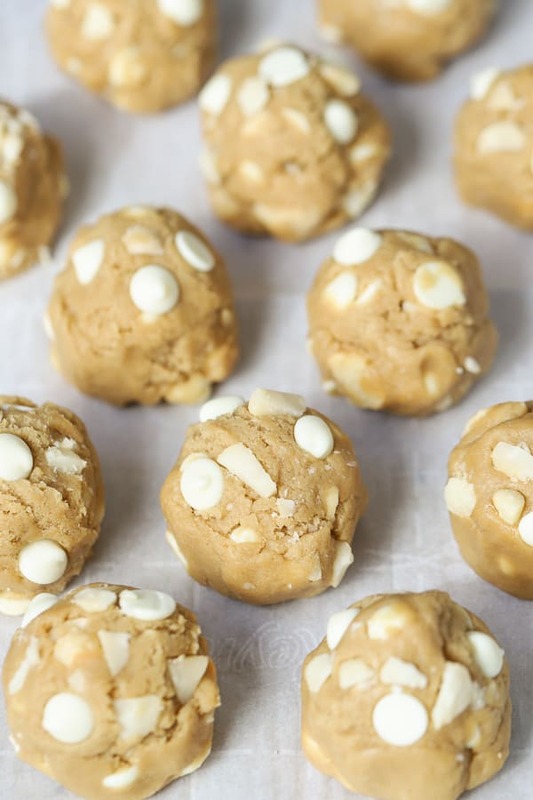 Soft centers, crisp edges, white chocolate chips, and macadamia nuts. Two special ingredients make these cookies the best! 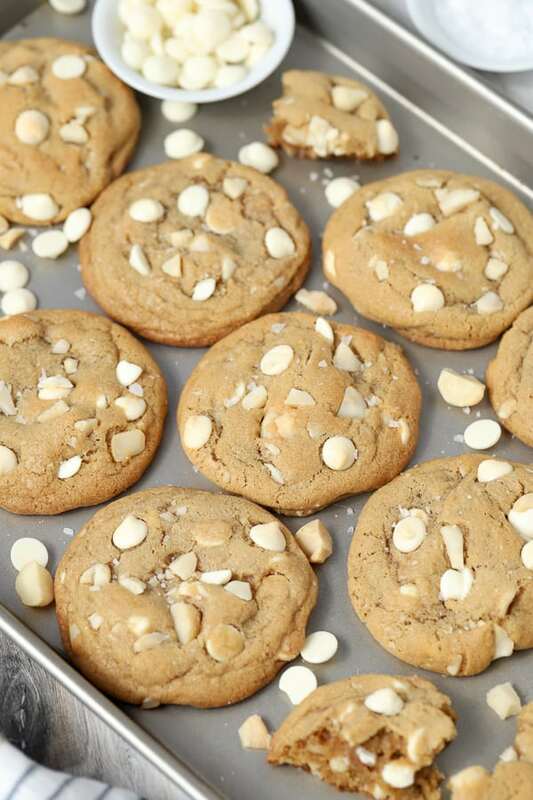 Mouth watering cookies with soft centers, crisp edges, creamy white chocolate, crunchy macadamia nuts, and a sprinkle of sea salt? SOLD. Gimme. Yes, please! SIGN.ME.UP. These cookies check all the boxes. This recipe has been on regular rotation for months. Every time I plan to share them with you, my family devours them before I have a chance to photograph them. And in full disclosure, when I say “my family” I am mostly referring to myself, because who can resist a warm, freshly baked cookie? Not this girl. 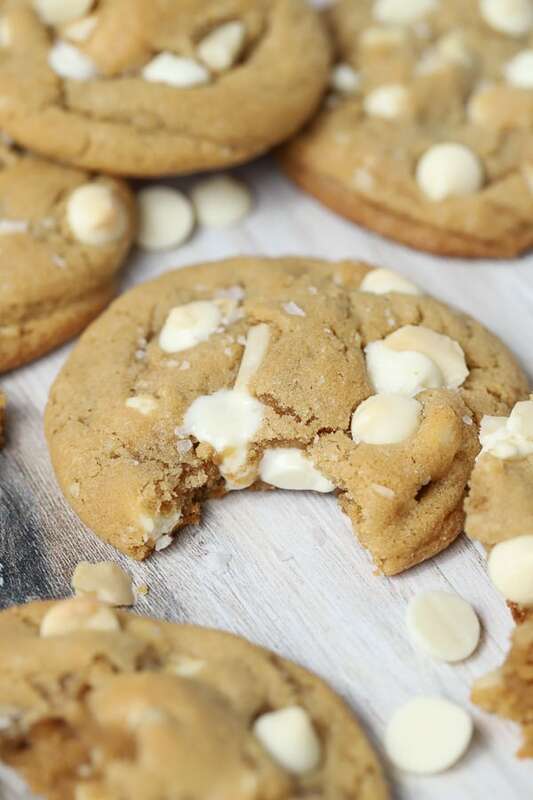 Let’s talk White Chocolate Macadamia Nut Cookies – and what makes these the absolute best! I have a few special ingredients that set these cookies apart from others of the same variety. I also have a few techniques and tricks for making these come out perfectly every time. 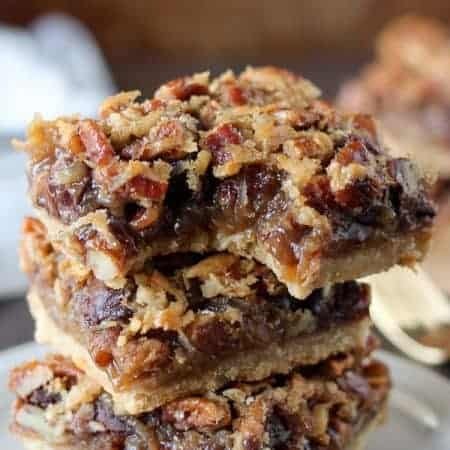 Brown Sugar: This recipe has more brown sugar than white sugar. The extra brown sugar makes these cookies soft and chewy and imparts a deeper flavor. Make sure your brown sugar is fresh and soft; it can be light or dark brown sugar. The photos you see were made with dark. 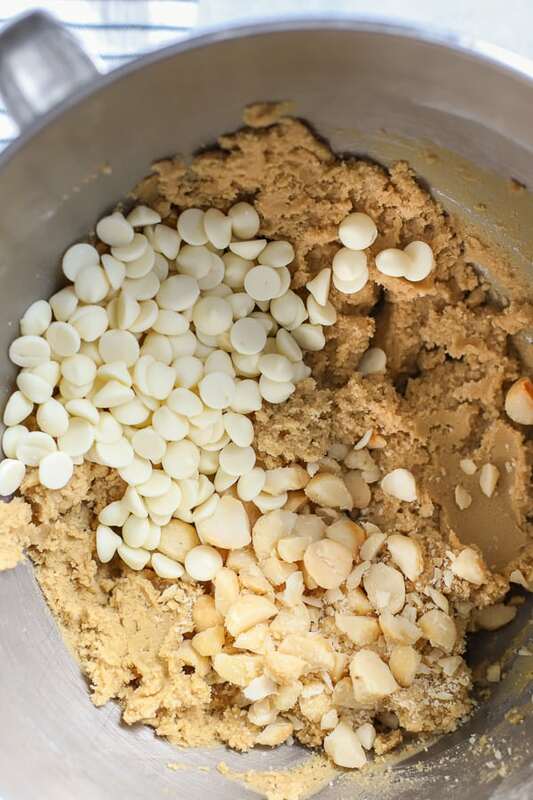 Almond extract: In addition to vanilla extract, I also add a splash of almond extract to the cookie dough. 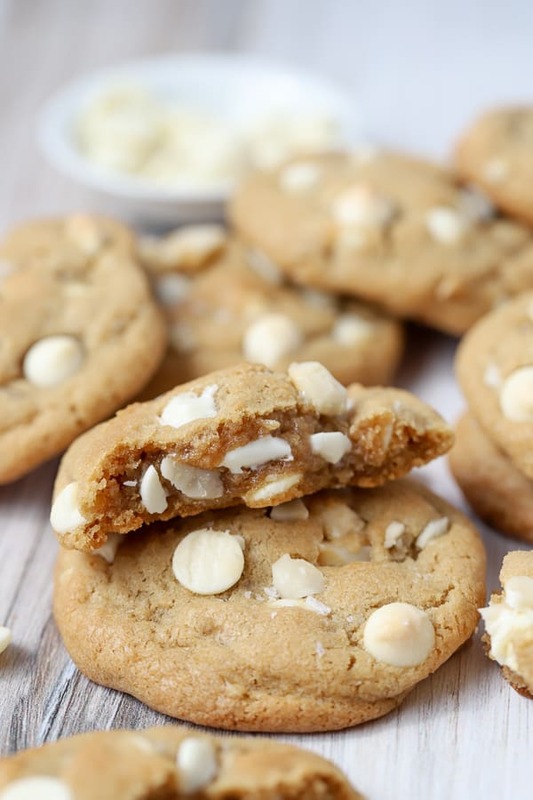 The almond extract pairs perfectly with the white chocolate and macadamia nuts. It’s not overpowering, just a subtle, smooth, underlying flavor. Sea salt: This is my favorite technique for this recipe. Right after the cookies are finished baking, lightly sprinkle the tops with sea salt. You’ll love the salty-sweet balance! I especially like a flaky finishing salt like Maldon. Your butter should be soft, but still slightly cool. If it is too soft your cookies will spread too much. Use roasted salted macadamia nuts (if possible). 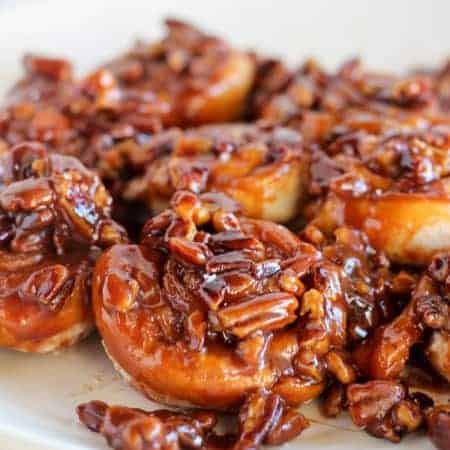 Roasted nuts have way more flavor than raw nuts, and that extra bit of salt really takes these over the top. Use good quality white chocolate chips. Ghirardelli or Guittard are two of my favorite brands. You can also chop a good quality white chocolate bar. Do not overbake. If you’ve been around here for a while, you know this is my mantra. Pulling your cookies from the oven when they are still slightly underdone will result in the perfect texture – soft centers with crisp edges. Oven times vary, and the size of you dough balls may vary slightly from mine. Keep an eye on them. When the edges are set and the very center is still slightly underdone, pull them out and allow them to cool with the baking sheet set on a rack. Don’t skip the finishing salt. That sprinkle of salt on top of the cookies balances out all that sugar (white chocolate can be super sweet). Thanks for the kind review! Glad you enjoyed them! Oh hello!! how good this look?? 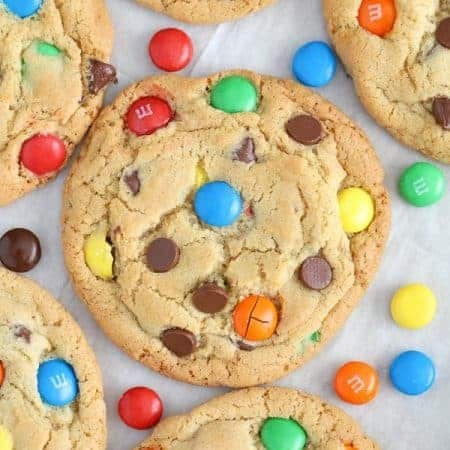 These cookies would be perfect to have on hand this week! Look so delicious! Absolutely delicious! Love the flavor from the white chocolate chips and macadamia nuts. I want these in my cookie jar! Love a good cookie! Seriously my favorite…and I lOVE that sea salt on top!